Planetary gears are crucial in complex automotive transmissions, drive trains and other applications where complex gear ratios are required for smooth torque transmission. These complex and drastic gear ratios are possible since planetary gears have the ability to produce different gear ratios depending on which gear is used as the input, which gear is the output and which gear is stationary. Planet gears are also used in industrial automation and motion control applications such as wind turbines, bicycles, helicopters, heavy machinery, electric motors and paper feeders. Some advantages of planetary gears include high power density, increased torque capability, pure torsional reactions and large reduction in small volumes. However, there are disadvantages to using planet wheels as well, which include design complexity, high bearing loads and inaccessibility. 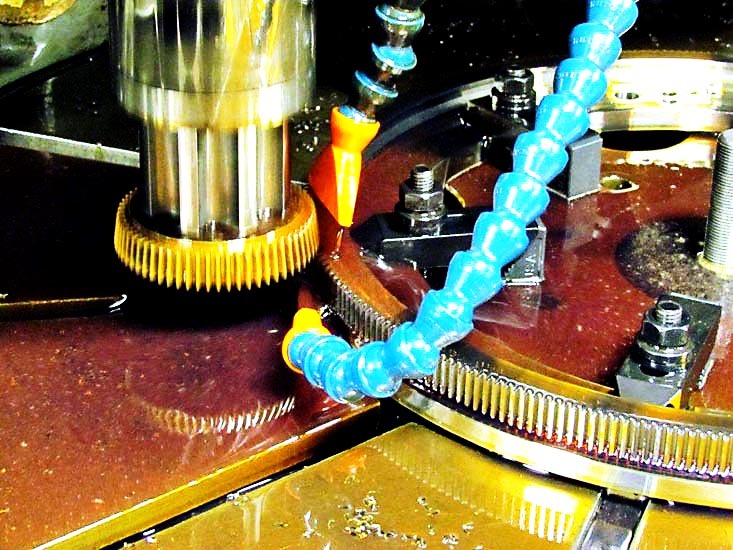 Planetary gears are often used in industries such as marine, automotive, mining, military, commercial, construction, chemical processing, aerospace and agricultural. Planetary gears typically come in sets of two or more that operate on or inside larger industrial gears; these are referred to as planetary gear systems. In a planetary gear system the exterior gears interlock with the inward-facing teeth of a larger internal gear, increasing the output speed of the large outer gear through rotational torque applied to the internal sun gear. The four main components that make up these planetary gear sets are the sun gear, the ring gear, the planet pinions and the planet carrier. The sun gear is the center of the planetary gear system. The ring gear, or internal gear, is named due to both its shape and its internal teeth and connects the epicyclic gear set to an output shaft. The planetary pinions are gears with a small number of teeth designed to mesh with a larger wheel, which is the ring gear. 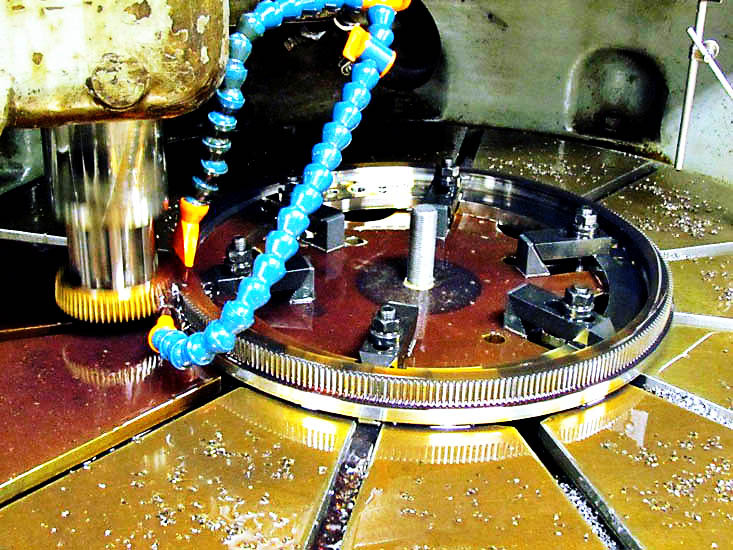 Engaged simultaneously by the sun gear, each of the planetary gears applies torque to the ring gear, which in turn supplies torque to the output shaft. The planetary pinions are attached to a rotating plate, which is the planet carrier. In order for the planetary gear set to function, either the sun gear, planet carrier or ring gear must be held stationary. While one is held stationary, one of the remaining two components serves as the input and provides power to the system, while the other serves as the output and receives power from the system. The ratio of input rotation to output rotations depends upon two key factors: the number of teeth in each gear and which component is held stationary. Planetary Gears Planetary gears, or epicyclic gears, consist of three or more outer gears, referred to as planet gears, which revolve around a central gear, also known as a sun gear. The allusions to the solar system refer to the design of the planetary gear; all of the gears in the planet gear are in one plane and are grouped around each other much like the planets surround the sun.